Mother Church presents the lives of the Saints to us as models of Christian living because she sees something of the life of Jesus reflected in them. 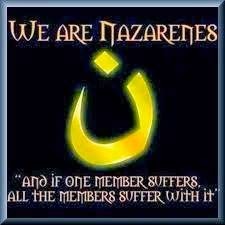 Each one of us is called to form our hearts after the heart of Jesus so that we might each become heralds of his merciful love in each aspect of our lives. The Apostle Saint Paul so closely conformed himself to Christ Jesus that he could say to the people of Thessalonica, “With such affection for you, we were determined to share with you not only the gospel of God, but our very selves as well” (I Thessalonians 2:8). While he went about this work of sharing the gospel, he said, “We were gentle among you” (I Thessalonians 2:7). Gentleness, of course, is one of the fruits of the Holy Spirit, one Saint Paul mentions in his letter to the Galatians (Galatians 5:23). Of all the fruits of the Holy Spirit, it is perhaps the one least appreciated in our own day. Society, it seems, is becoming ever most bombastic, ever more self-centered, and ever more loud. We shout each other down, rather than listen to what each other has to say with a heart desiring to understand. Something is wrong with us and so we need someone to help refocus us on the life of Jesus, someone who can show us how conform ourselves to his heart. 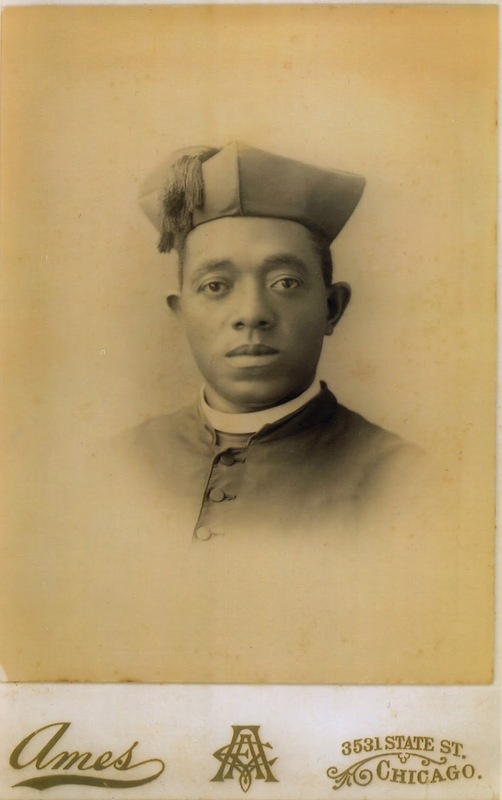 It may be that one such man, the Servant of God Father Augustus Tolton, whose cause for beatification and canonization is underway, died one hundred and twenty years ago this past July. His life, which is intimately connected with this Diocese of Springfield in Illinois, will be presented this week across central Illinois in the play, Tolton: From Slave to Priest. His was a life seemingly marked by opposition wherever he turned, save for a few moments of calm. In Father Tolton, we find one who, with Saint Paul, trusted in the Lord’s words: “My grace is sufficient for you, for power is made perfect in weakness” (II Corinthians 12:9). Born April 1, 1854 in Ralls County, Missouri to faithful Catholic parents, Peter Paul and Martha Jane Tolton, who were slaves near Brush Creek, Missouri, Father Tolton remained a man of gentleness, the fruit of a deep life of prayer. In 1865, he enrolled in St. Boniface school with the permission of the pastor, Father Schaeffermeyer, and found those both “hard of face and obstinate of heart,” those whose hearts were proud and whose eyes were haughty (Ezekiel 2:4; cf. Psalm 131:1). His enrollment led many to threaten to remove their children from the school, to leave the parish, and even to call for the removal of their pastor. Just one month after he enrolled, young Gus, now ten, withdrew from the school. When he was twenty-four, Augustus opened St. Joseph School of Black Children in Quincy, the first of its kind in the city. Even here he was met with opposition, when black Protestants publicly refused to send their children to his school because he was Catholic. 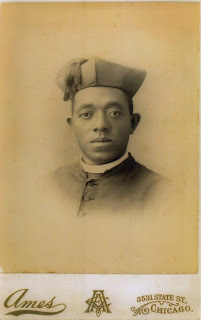 He arrived in Quincy in July of 1886 and was appointed Pastor of St. Joseph’s Parish, which had been established as a parish for Black Catholics. He received an enthusiastic welcome in the Gem City and was admired by all. They found in him a “rich and full voice which falls pleasantly on the ears” and saw the “whole-hearted earnestness” with which he went about his ministry impressed even the local newspapers. His ministry met with some success, but affairs soon turned sour when Father Michael Weiss was appointed Pastor of St. Boniface Parish, just one block from St. Joseph’s, for it was Father Weiss who took great offense at Father Tolton. St. Boniface Parish was in debt and had given much to St. Joseph’s Parish. Many of Father Weiss’ parishioners attended Father Tolton’s Masses and contributed to his parish. Father Weiss forbade Father Tolton from ministering to whites and repeatedly made it clear that contributions from whites belonged to white parishes. This was the first time Father Tolton experienced prejudice from a fellow priest, and it devastated him. Soon afterward, Archbishop Feehan told Father Tolton he would be welcome in Chicago, so he wrote again to the Congregation: “I beg you to give me permission to go to the diocese of Chicago. It is not possible for me to remain here any longer with this German priest.” The reply arrived two months later: “If the two bishops concur in giving their approval, go at once!” Just twelve days later, he left for Chicago with nineteen of his converts and took up the pastorate of St. Monica’s chapel, where he was entrusted with the pastoral care of all of Chicago’s black Catholics. After he left Quincy, St. Joseph Parish closed for good. One woman who encountered him, Mary Elmore, said of Father Gus, “We who come in contact with him in our labors and are witnesses of his ardent charity and self-denying zeal, feel ourselves privileged to – bow the knee for his saintly blessing.” Within two years he began construction on a new church – that was never completed – and ministered to some six hundred black Catholics. Having spent himself in the service of the Church, he died of heat stroke in 105 degree weather on July 9, 1897; he was forty-three years of age. St. Monica’s became a mission and it took another two years for a full-time pastor to be assigned to it. St. Monica’s closed for good in 1924. Despite the opposition he faced, he never lost his love of the Church or of the priesthood, and never did he condemn Father Weiss or speak ill of him, so deep was his gentleness. Throughout his life, Father Tolton could sing with the Psalmist, “In you, Lord, I have found my peace” (cf. Psalm 131). In this he is a model for each of us; never did he cease his proclamation of the Gospel or the sharing of himself with those he met. As Father Roy Bauer has said, “Some people could easily judge that his life was not a success, but God calls His servants to be faithful, not successful!” The fidelity of Father Tolton cannot be doubted, and for this reason he is a model for us all and a continual reminder that “when I am weak, then I am strong” (II Corinthians 12:10). Father Tolton found his place of refuge in the Lord and now we pray that he will be declared Blessed and raised to the dignity of the altars. May his example and intercession raise up many more such faithful and devoted priests in our Diocese, that each of the Lord’s altars may have a holy and zealous priest to administer the mysteries of God. Amen! Mary Elmore, Letter to John R. Slattery, SSJ, 1890-1891. In The Father Tolton Guild: Official Organization for the Promotion of the Cause for Canonization of Father Augustus Tolton (1854-1897), October 2017, 3. Roy Bauer, They Called Him Father Gus, Part Twenty-three.